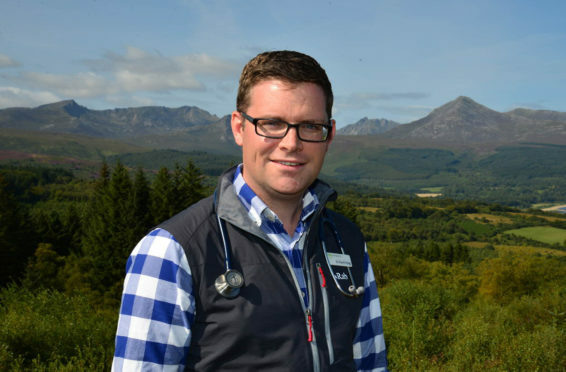 Dr David Hogg, the Arran-based vice chairman of the Rural GP Association of Scotland (RGPAS), resigned from a Holyrood working group yesterday, saying efforts to address the concerns had “fallen by the wayside”. The move followed a survey of RGPAS members which found that 100% of respondents believed the deal had failed to improve rural healthcare. The contract, which was introduced on April 1 last year, aimed to cut workload and make it easier to run practices. However, concerns have repeatedly been raised about a new funding formula that is based on the number of appointments and fails to reflect the challenges faced by rural GPs who have to travel longer distances to patients and practices. The RGPAS, which represents almost 100 GPs, including many in the Highlands and islands, said 90% of surgeries in rural areas would have their allocated funding reduced as a result and claimed it would inevitably lead to the “extinction” of practices. The Scottish Government established a rural short-life working group (SLWG) last year to try to address the issues but the RGPAS yesterday revealed it had withdrawn from the task-force in protest at its failure to make any progress. Dr Hogg highlighted a recent survey of rural GPs which found 42 doctors, or 82%, believed the contract had made local healthcare “worse”, while nine of the GPs, or 18%, thought it remained “much the same”, and none who said it had made the situation “better”. Last night, Scottish Conservative shadow health secretary Miles Briggs seized on the criticism. He said: “Nicola Sturgeon seems to think her GP contract was a rip-roaring success. In fact, it’s failing the bulk of Scotland’s land mass and a fifth of our population. A Scottish Government spokeswoman said: “GPs in remote and rural communities provide vital and committed healthcare services to their patients, in often challenging circumstances. Solving the rural health crisis: do the answers lie in a 106-year-old report?